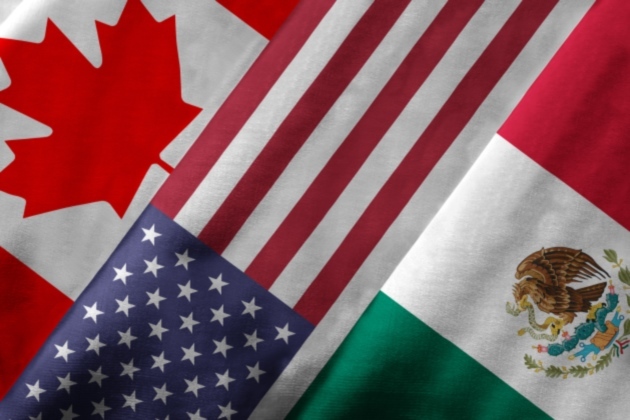 MultiBrief: Is a ‘new’ NAFTA in the cards? Is a ‘new’ NAFTA in the cards? The U.S. and Mexico have reached an initial agreement to change the North American Free Trade Agreement. What we also know is that many eyes are Canada, the third nation in NAFTA, now. The U.S.-based Business Roundtable and the Business Council of Canada released a joint statement on talks to update NAFTA on Aug. 30. "NAFTA provides millions of U.S. and Canadian citizens with good jobs. It drives economic development across the continent. We urge our respective governments to build upon the many benefits of NAFTA with a commitment to preserving the agreement’s trilateral structure. Forfeiting this three-nation partnership would destabilize North American supply chains, jeopardize jobs and undermine economic growth." The trilateral structure of the NAFTA is in question as negotiations between the U.S. and Canada proceed. Bringing no small measure of uncertainty to the evolving story of trade between Canada, Mexico and the U.S. is President Trump. "We are in the NAFTA (worst trade deal ever made) renegotiation process with Mexico & Canada," he tweeted on Aug. 27, 2017. "Both being very difficult, may have to terminate?" "It would surprise me if Canada remained outside the agreement," Martin Hart-Landsberg, an author and economics professor at Lewis and Clark College, told MultiBriefs. "First, Canada is an essential part of the U.S. organized regionalization of automobile production and U.S. companies would not be happy if the agreement excluded their plants there." While details of the new NAFTA remain largely unknown, it appears that there are some improvements. Professor Hart-Landsberg points to "a weakening of the mechanism that allowed foreign corporations to sue host governments for limiting their freedom of operation, and an increase on North American content for automobile trade." "This change will make it easier for governments to pursue laws protecting the environment and public health and safety. The new agreement also requires car companies to manufacture at least 75 percent of an automobile’s value in North America, up from 62.5 percent, to qualify for NAFTA’s zero tariffs." All things equal, such a change should spur further domestic car production, a boon for workers in states where auto plants and suppliers are located. The AFL-CIO is concerned about Mexican workers’ rights to join a labor union in an updated NAFTA, however. Meanwhile, Hart-Landsberg worries about the provisions for intellectual property in a "new" NAFTA. For instance, "Offsetting those improvements are changes that appear designed to lengthen and tighten patent protections," he said, "which will end up significantly raising the cost of drugs, among other things." We return to the Business Roundtable, a group of U.S. CEOs that lobbied for NAFTA, which took effect on Jan. 1, 1994, write Richard Roman and Edur Velasco. "Replacing NAFTA with one or two bilateral agreements would create more regulatory burdens, disrupt North American supply chains and hurt U.S. workers and businesses. Any effort to withdraw from NAFTA altogether would endanger millions of U.S. jobs and harm the competitiveness of U.S. companies." In politics and policies, compromise is key. How that factor plays out will have unclear impacts for the future.